"My Husband & I booked 2 port tastings in Porto through Wine Tourism Portugal. We enjoyed a cellar tour and tasting at Offleys and a cheese and port tasting at Espaço Porto Cruz, both were brilliant, informative and great value. 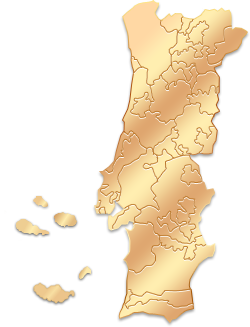 We would definitely use this website to book future experiences in Portugal." "We had a great experience in Porto... each of the Port houses had something a bit different and we learned something unique at each of them. Would definitely recommend this tour package!" "Excelente experiência. Muito bem preparada pela Mariana da Wine. Numa experiência de meio dia fiquei a conhecer as melhores caves do Porto. Aqui pago e experimento o melhor, não posso dizer o mesmo de outros operadores que disponibilizam parceiros de inferior qualidade." "Brilliant! Despite the heavy rain, this is a Tour to appreciate Port and made our stay in Porto more memorable." Your day will begin in Vila Nova de Gaia, near the Ribeira neighbourhood, the place where we will have one of the best views of Porto's historic centre, considered by UNESCO World Heritage Site since 1996. You will make a tour to three of the best Port Wine Cellars. In each of the cellars, with the company of the cellar tour guides, you will have different and enriching experiences that will turn you into a real connoisseur of the Port Wine history.